Jan Ketchel is an artist and writer with a Bachelor of Fine Arts degree from Moore College of Art in Philadelphia. She is also a certified hypnotist and a psychic channel. As a freelance artist and writer, Jan has worked for advertising agencies and book and magazine publishers in both New York City and Stockholm, Sweden. She has written on the arts and worked as a publicity writer for individual businesses, artists, and arts organizations. For many years she owned an art studio and gallery out of which she ran a business that specialized in painting children’s furniture, faux finishes, and murals. Her artwork is in private collections worldwide. She has illustrated four children’s books. In 2002, a few months after Jeanne Ketchel’s death, Jan’s training as a psychic channel began in earnest when she began having mystical visitations from Jeanne and began receiving personal messages of guidance. As the messages changed from personal to more universal guidance, it became clear that Jeanne was on a mission to awaken the sleeping spirit in all of us. When Jeanne invited Jan to join her as her channel, Jan knew it was the right thing to do, although she also anticipated it would present many challenges. Her hunches were more than correct, especially as her role in the world changed and the creative direction of her life took a drastic turn. This website is largely a result of her unwavering dedication and commitment to document and pass along the messages from Jeanne. As the relationship between Jan and Jeanne blossomed over the years, their collaboration as the Soul Sisters expanded to include daily Soulbytes, audio channeled messages, as well as the written word. 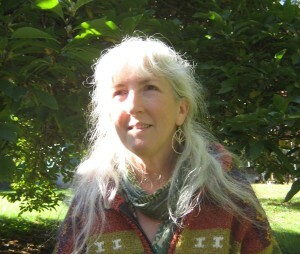 Jan has published The Recapitulation Diaries, a series of memoirs of her shamanic healing journey from PTSD. She is currently working on the fifth volume in the series. In addition, she collaborated with Chuck on The Book of Us. Both Chuck and Jan’s books are available on Our Books page.